Lead your company to victory with this 16 oz. Victory Acrylic Tumbler! 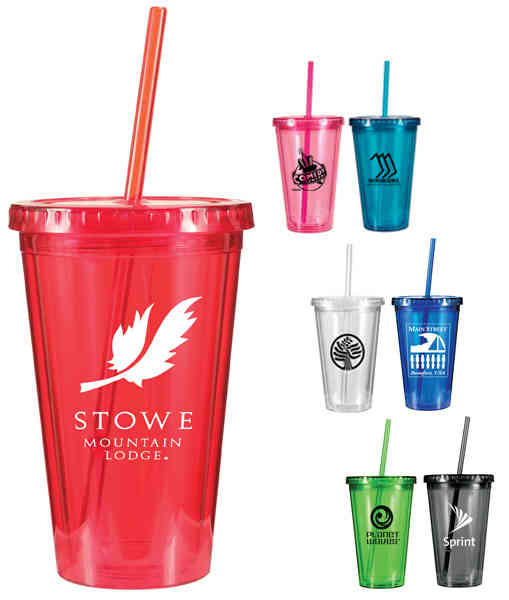 This durable acrylic tumbler is double-wall insulated with lid and straw. These drinkware items stand out in a crowd, making them an ideal gift to give as a token of your appreciation. Hand to clients or employees. This item is not intended for hot beverages, do not microwave. Hand wash only. Size: 6 " x 3.75 "
Multi-color imprint available on one side only. Registration will vary 1/8" in any direction, making close registration impossible.